If you are one of my followers you know that I have not been doing much graphic or website designing for a while. I do still do the occasional job for previous clients and I have done a little work for some friends here and there as well. This is post is just to complete my portfolio to this point. These designs were completed over the past couple of years. 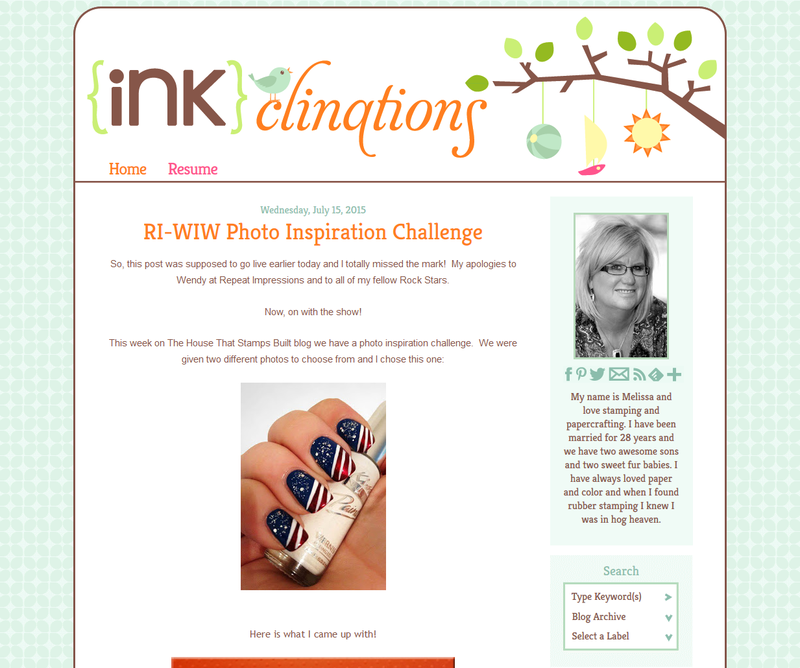 If you are new to my designs be sure to click through to the sites I designed. There is so much more on the teh actual sites, I am very detail oriented and I want you to see the footers, sidebars plus all the other little details I add to each design. First on the list are a couple of graphics for Libby's Tour de Craft event she hosts yearly during Tour de France. I provided her with blanks too so she can reuse this each year, well until she decides she was to shake it up anyway. Secondly is Jodi Collins! This is one of my very favorite designs. I had so much fun working with these bold colors, I even put filters on her beautiful photo to blend her with the blog design. All of the graphics are my original art so that adds to my love for this deign as well. Jodi is such a sweetheart, go give her a little click. Here is a redesign I did for one of my oldest clients, Melissa. 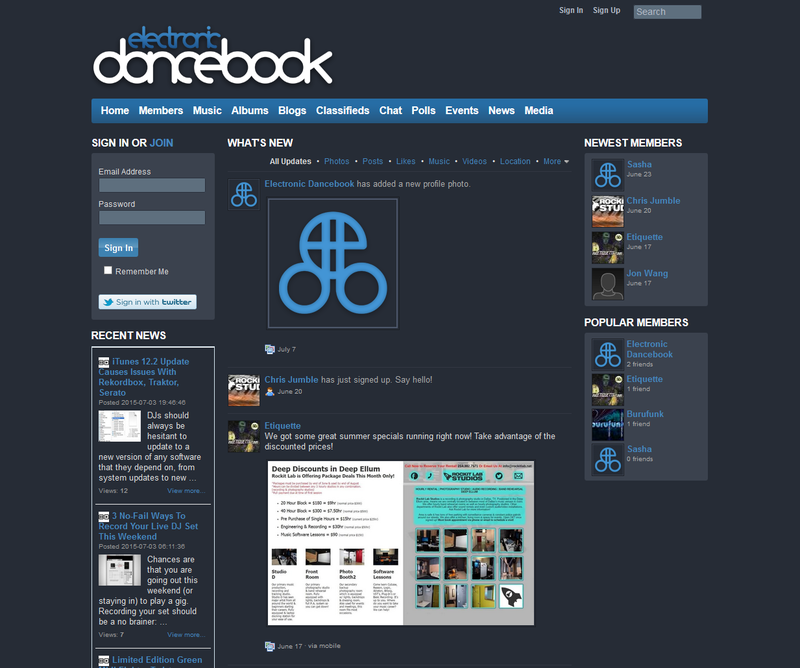 I think she was the 4th blog design I ever did. She was very patient with me back then! Melissa even went to another designer (because my line was WAY TOO LOOOONG) and then came back for some tweaks and then a another full redesign after that. I think she likes working with me, I know I love working with her! This design also has other website headers that Melissa changes out each season and on holidays so go check her out every now and again to see all the cuteness. 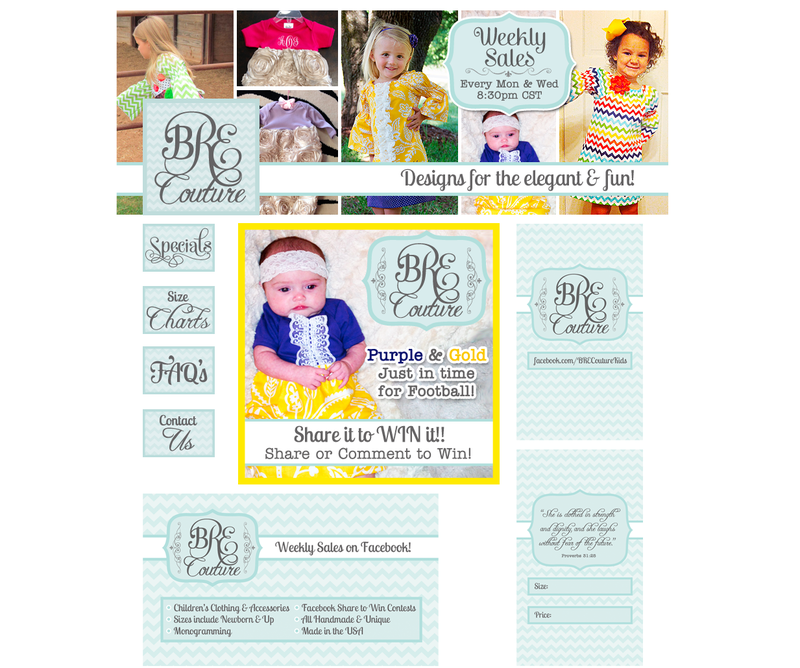 Next up is BRE Couture, another old friend of mine named Brandi who got together with some of her girlfriends to make and sell totally ADORABLE kids clothing. I made MANY graphics for her, this is just a sampling. They needed mostly facebook graphics and page designs, Etsy graphics, Business Cards and Tags for the clothing they sell in a brick and mortar store. Jody was amazing to work with! She is a truly inspirational crafter who has talent oozing from every ounce of her existence. 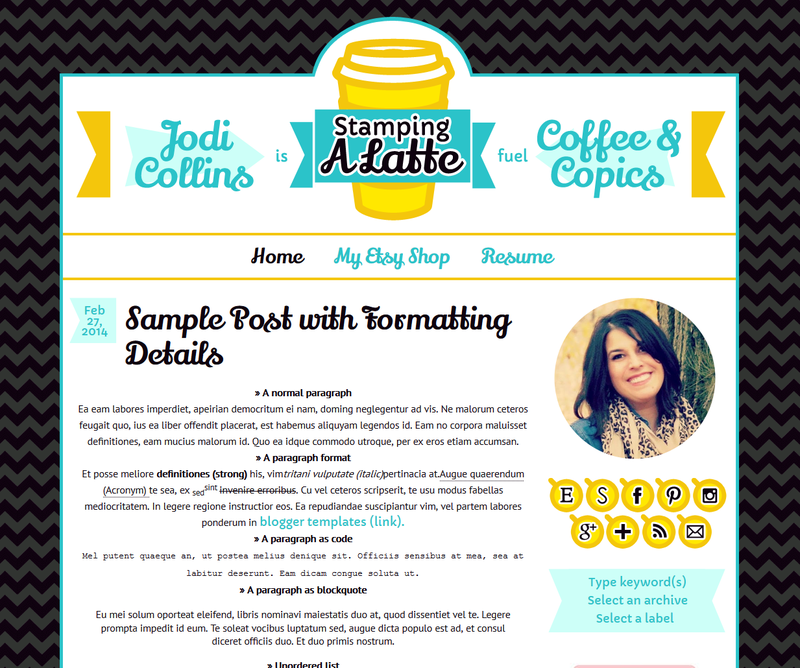 I did a full blog design and a store design to match for her. 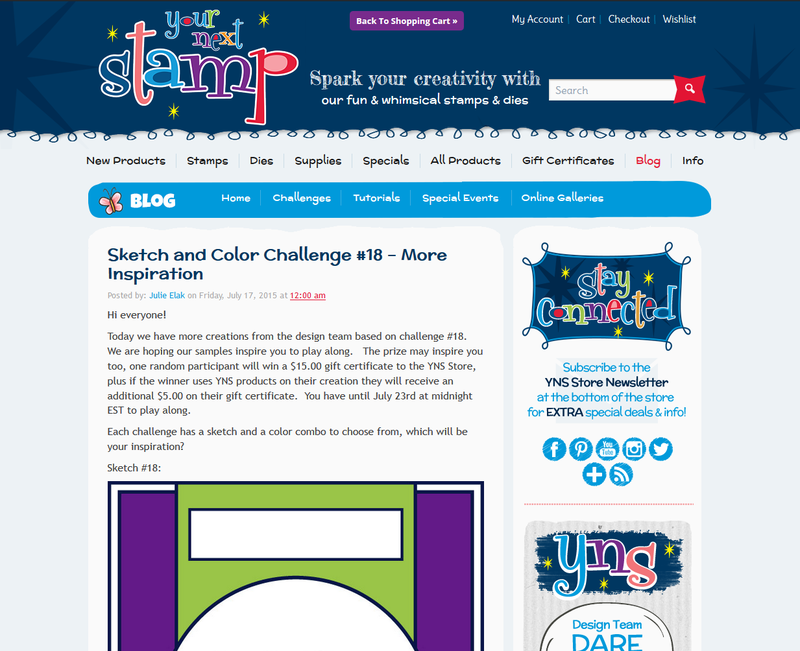 Karen at Your Next Stamp had her store completely redesigned by someone else. Again, I was just too busy and trying to scale back on the design. 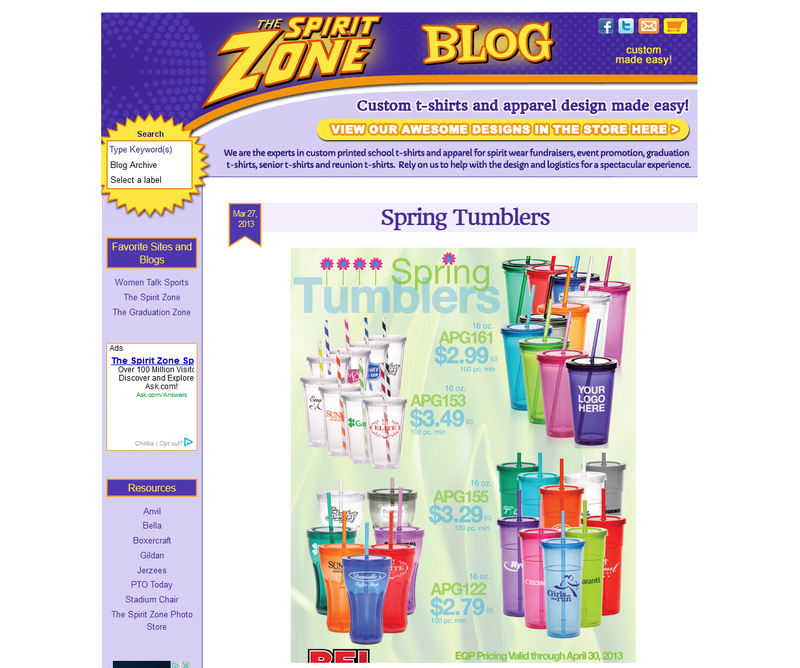 But she still needed her blog to match the store and many fun little graphics to match. 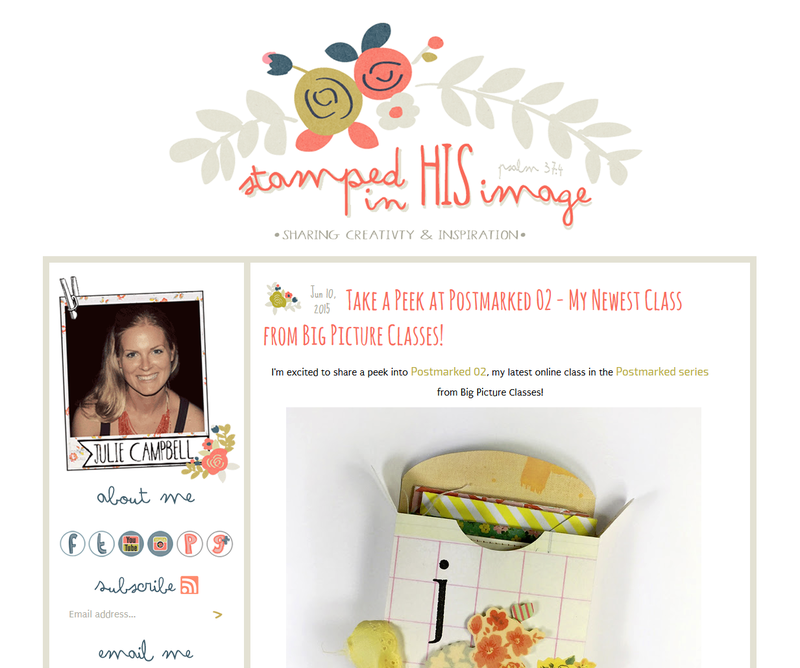 Take a look all around the blog to see all the little sprinkles of fun I added. 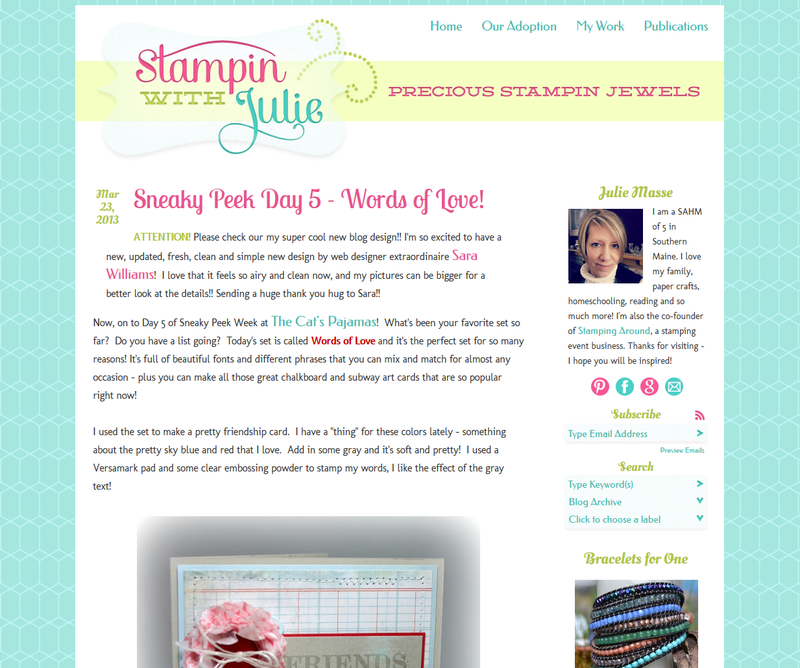 I previously designed Julie's blog years ago and she wanted a fresh new look. This is a full redesign and she loves it, how about you? This is another one I helped Julie complete. She provided pre-made graphics and I put it together and got it all coded up for her. She is always dream to work with! 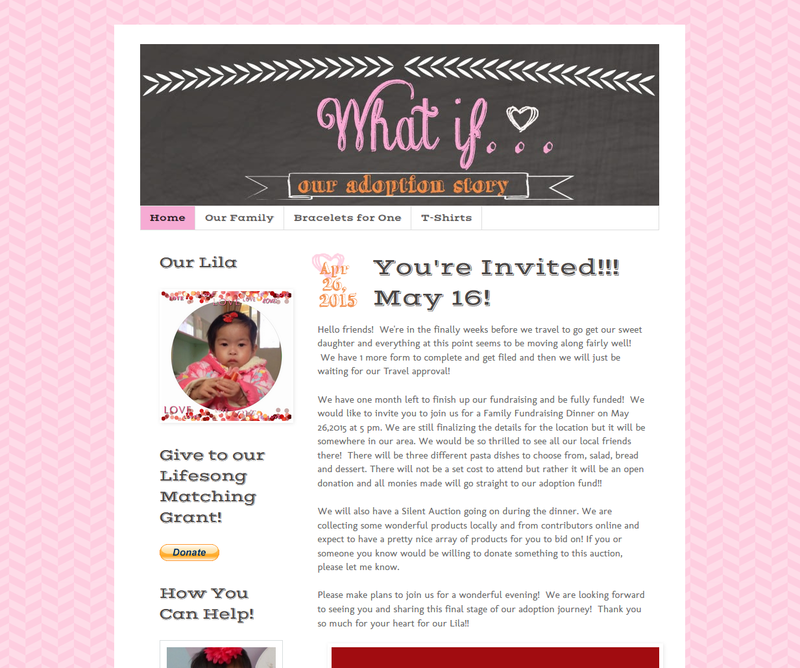 By the way, her adoption is completed and it was SO MUCH fun watching it all happen! LOVE that lady! 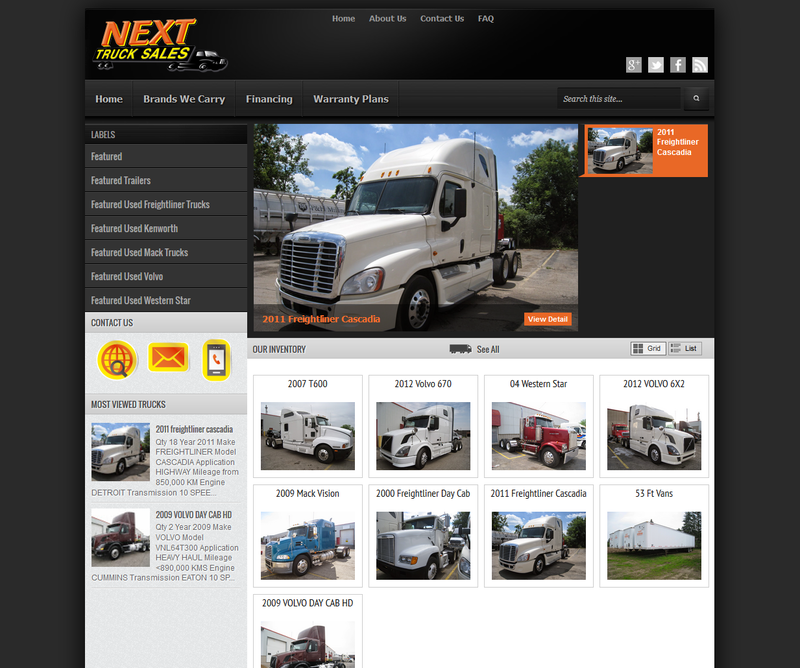 Here is a less cutesy site I did for Next Truck Sales. I originally worked with Julie Campbell years ago, another early design. Well she was finally ready for a new look and had gotten it all together and even did the full page layout. All I really did on this for was the coding and graphic matching. I think it turned out great, she is a very talented lady! Another return customer, Sue Kust at The Spirit Zone. 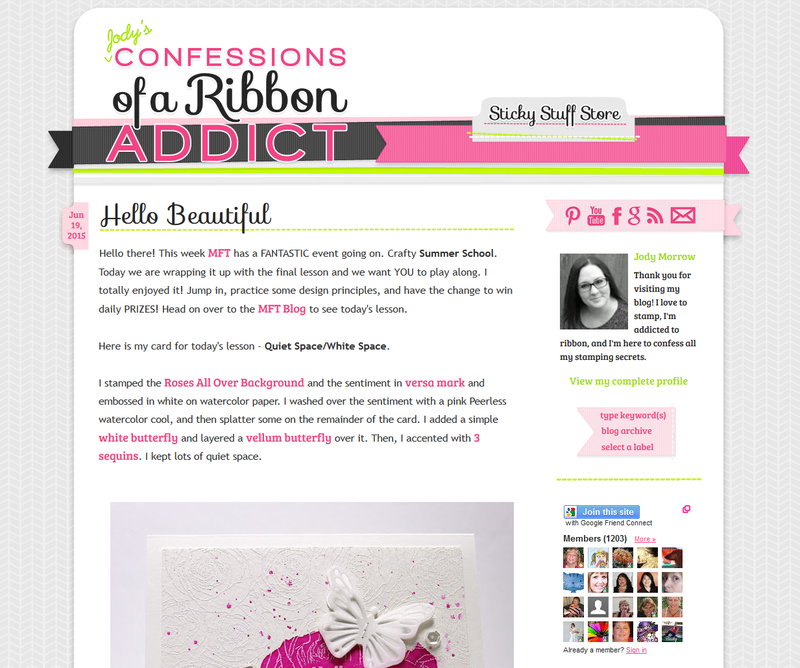 I did her original blog design to match her store years ago. Here she just wanted it to be a little bit cleaner and this is what we came up with. Well, I think that covers all the designs I have never posted. There may be a few I missed and if I run across them I will make another post. I have lots of different styles here, I like to be diverse as I know not everyone loves the same look and feel. My favorite part of custom designing is widening my horizons and working with the client to make the website exactly what THEY WANT and LOVE!